collect all orders and reach15000 points to complete the level. This level have normal difficulty and you need to make 12 striped candies. 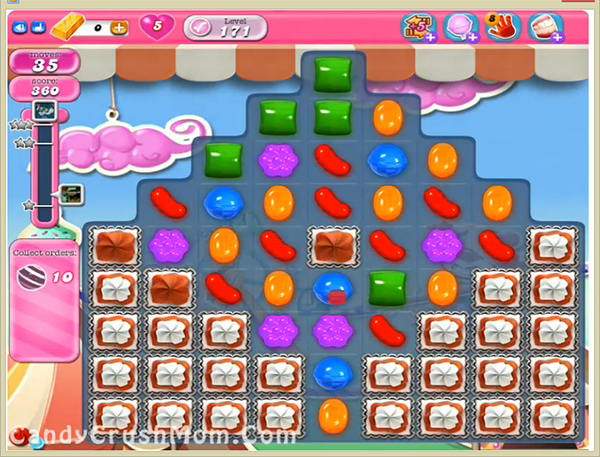 First Try to play from bottom and break blockers so candy board can have more candies. Then try to make striped candy or make colorbomb with striped candy to complete this level easily with just 35 moves. We completed this level with 43640 score using striped candy just before four moves and got single star score.